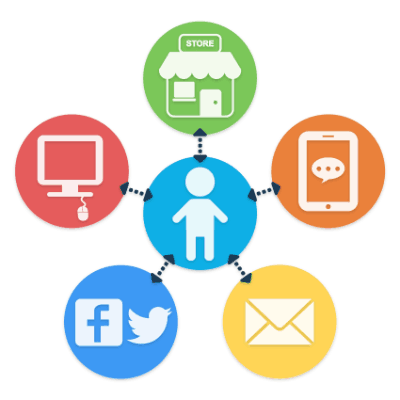 Why is omni channel marketing important? In 2002, the average Internet user would have interacted with two touch-points when purchasing an item. Less than 10% of users would use more than four touch points. Today, however, average consumers will use almost six touch-points when making an internet purchase. This means that sellers and business owners need to stay on top of where and how their audiences are buying their goods. The challenge is to make sure all channels are in sync. It also means that offline and online shopping experiences are becoming more and more congruent. This means that more and more customers are expecting to buy an item online and then pick it up in a physical store. The infographic below comes from call tracking experts Mediahawk, who specialise in uniting the online customer journey with offline conversions via telephone and with integrations with Google Analytics and Salesforce. Here is a checklist to help you benefit from the competitive edge that omni-channel marketing brings.